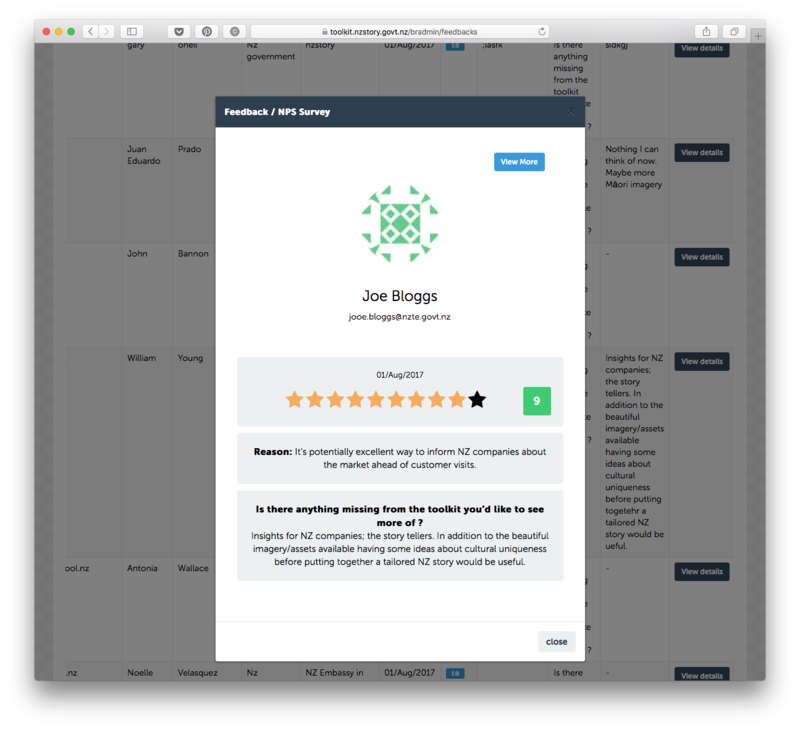 Brandkit offers a Feedback loop - way of listening to users and understanding how your Brandkit is performing for end users. A simple user NPS survey that runs after a user Downloads or Shares assets. To help Brands understand how users are feeling about the site/library service provided by the brand and to collect comments and general feedback about the service provided. Ask Brandkit Support to turn on for your account. Number of days between surveys (i.e. Brankit won't ask for NPS again until (a) the users downloads/shares again and (b) only after (x) days has passed. The survey runs after a user Downloads assets and then again after a configured wait period. The default is 30 days. The survey will run after every download, until a response is give by the user and the not again until after the wait period has passed. Where are Survey Results shown? Account Dashboard - Summary of last 10 responses, Click Show More to view all responses.